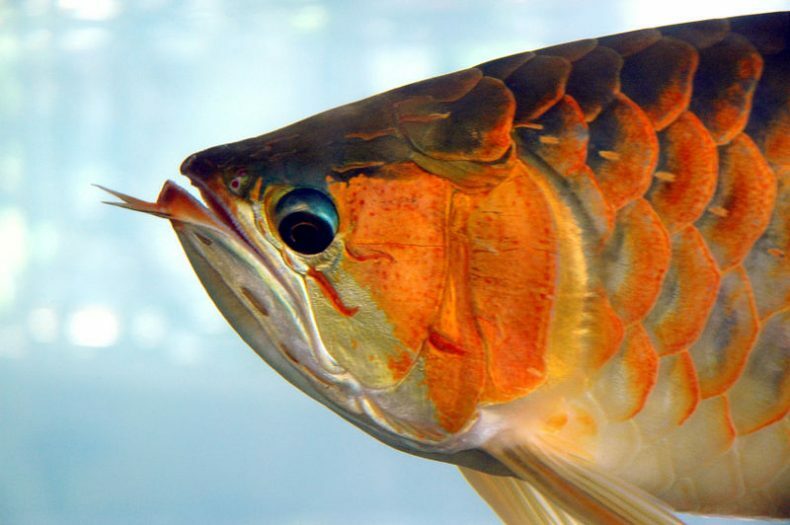 The Asian arowana (Scleropages formosus) is a freshwater fish that inhabits sluggish rivers in wetlands and forested swamps around Southeast Asia. One of the world’s most expensive ornamental fishes, it is widely known as the “dragon fish” and considered a symbol of luck and prosperity because of its alleged resemblance to mythical Chinese dragons. It’s also endangered. But that’s not what really gets many biologists excited about the fish. What does is that it is an evolutionary holdover, belonging as it does to an ancient lineage of teleosts (ray-finned fish): the Osteoglossomorpha, a primitive group of bony fishes. They are essentially living fossils. 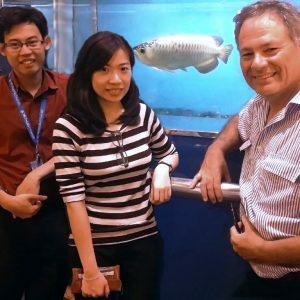 To find out more about the Asian arowana, researchers at Monash University Malaysia recently sequenced the genome of a female specimen from Malaysia. They reported their findings in the Journal of Genome Biology and Evolution. By understanding more about its genetic makeup, scientists hope to aid conservation efforts of the fish in Malaysia and farther afield, such as through genetically enabled breeding programs so as to preserve key genetic diversity in the species. Ironically, whereas the Asian arowana has stuck around for millions and millions of years, the aquatic animal is now facing threats to its continued existence in the wild because of a habitually destructive land-dwelling mammal: us. The species is listed as endangered on the International Union for Conservation of Nature Red List. The Monash University team’s results also serve as a boost to Malaysian science. In a double first, this is the first Malaysian fish genome to have been sequenced and the first to have been done so by a Malaysian university. “It is important for the Malaysian research community that a Malaysian university and Malaysian-based researchers be the first to sequence the genome of a Malaysian fish species for insights into this ancient species, as well as for its complex taxonomy and high commercial value,” Austin said. Thanks to its large size and bright colors, which encompass especially prized amber, gold and red, the fish is highly sought as ornaments and living lucky charms in Chinese communities across Southeast Asia. Especially eye-catching individuals can fetch thousands of US dollars. In Malaysia alone, exports of the fish are valued at upwards of $50 million each year with more than 200,000 fish produced annually.